In dramatic and dominating fashion with just 5km to go in the 165.5km penultimate stage of the 2012 USA Pro Cycling Challenge, Levi Leipheimer broke away from the peloton in a bid to catch early challenger Rory Sutherland for the stage win. 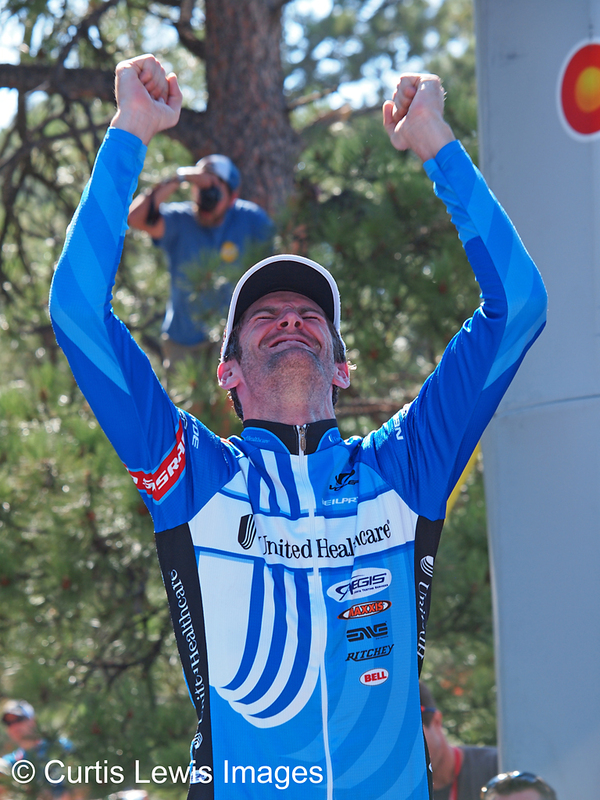 Though he was not able to catch Sutherland who ultimately won the stage, Levi was able to capture the yellow leader jersey from Tejay van Garderen going into the 7th and final stage, a time-trial in the city of Denver. Levi Leipheimer celebrates winning the leader jersey with Actor, Patrick Dempsy at the end of Stage 6 at the 2012 USA Pro Cycling Challenge. Rory Sutherland of Australia wins Stage 6 of the 2012 USA Pro Cycling Challenge in impressive fashion with an early break away that held despite the charging defending Champion Levi Leipheimer. Christian Vandevelde surrounded by the Media now just 9 seconds behind new race leader Levi Leipheimer going into the final stage of the 2012 USA Pro Cycling Challenge. 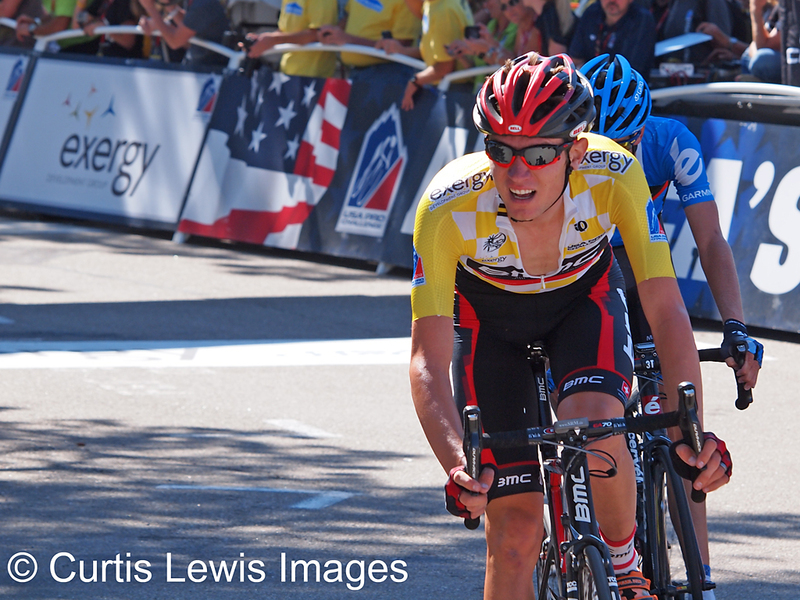 Tejay van Garderen finishing Stage 6 of the 2012 USA Pro Cycling Challenege. He won’t start the final day as he finished with the leader jersey on his back, that honor will now be held by defending Champion Levi Leipheimer who bested Tejay by 21 seconds on this penultimate stage. Actor/Auto Racer Patrick Dempsey showing support for racing outside the motorsport world at the 2012 USA Pro Cycling Challenge. 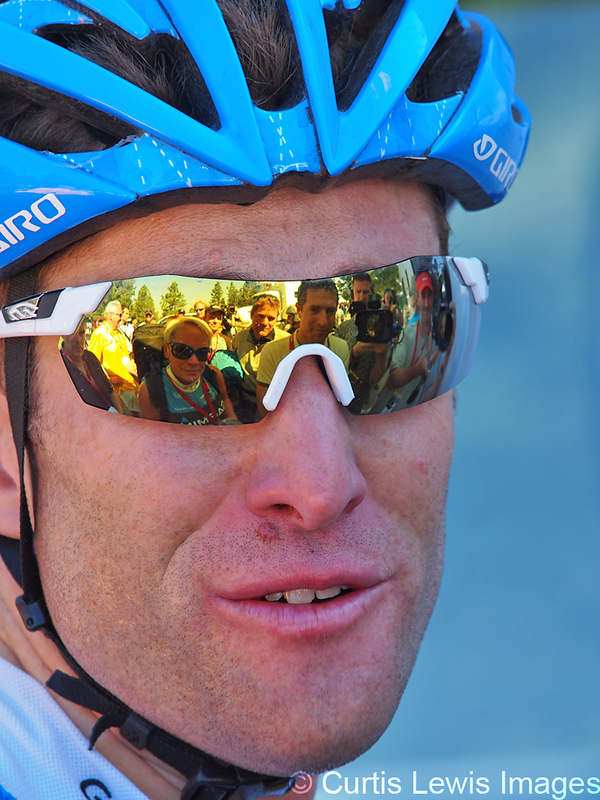 This entry was posted in Sport and tagged 2012 USA Pro Cycling Challenge, Actor, Christian Vandevelde, Colorado, Cycling, Levi Leipheimer, Patrick Dempsey, Racing, Rory Sutherland, Tejay van Garderen on August 26, 2012 by Curtis.